HONG KONG & NEW YORK, 6 February 2018 – The South China Morning Post today introduced a new corporate identity, signifying its evolution from a storied newspaper into a global media company. The launch includes a redesign of the South China Morning Post broadsheet and its digital products as well as a new corporate logo. 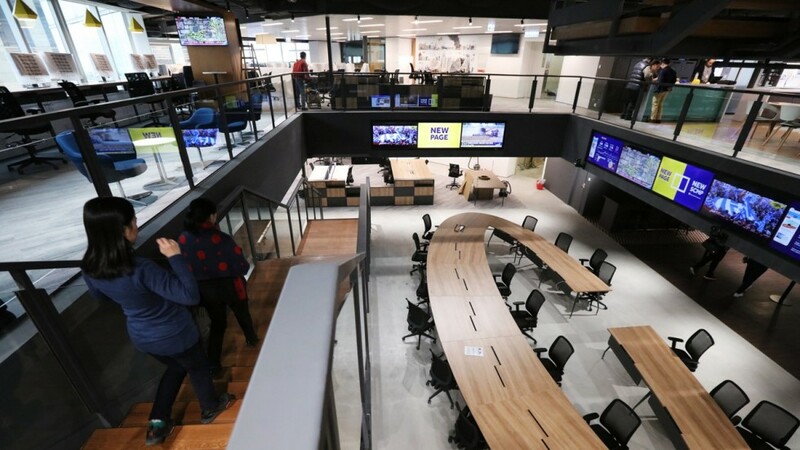 From a regional newspaper, the South China Morning Post has grown into a news media organisation available to readers and users across multiple channels, platforms and formats. It has now become necessary for its identity to be recognisable and adaptable across all of these. The new identity also enables the South China Morning Post to highlight its roots, legacy and future. Drawing inspiration from Hong Kong’s rich maritime heritage, the yellow-and-blue logo is an iteration of the international signal flag Kilo, which means “I want to communicate with you”. This reflects a foundational purpose of a news company like the South China Morning Post. The new look’s two-pane design also highlights the importance of understanding the world from both sides of the story, which is key to truth and fairness. In addition, the new identity, which graphically resembles a broadsheet newspaper, pays tribute to SCMP’s legacy as Hong Kong’s paper of record for 114 years. The story behind the new identity is detailed at a new microsite, new.scmp.com. Through digital storytelling, the site unveils the rationale behind the new corporate identity, the new digital possibilities as SCMP engages readers via compelling stories across multiple platforms, and SCMP’s reinvigorated editorial vision to lead the global conversation about China. In conjunction with the new identity, SCMP is relocating its city office to Times Square in Causeway Bay. The new premises will take up approximately 100,000-square-feet of gross floor area over six floors. The office is an activity-based workspace, featuring social areas, huddle rooms, varied seating options, and an open atrium, among other features. 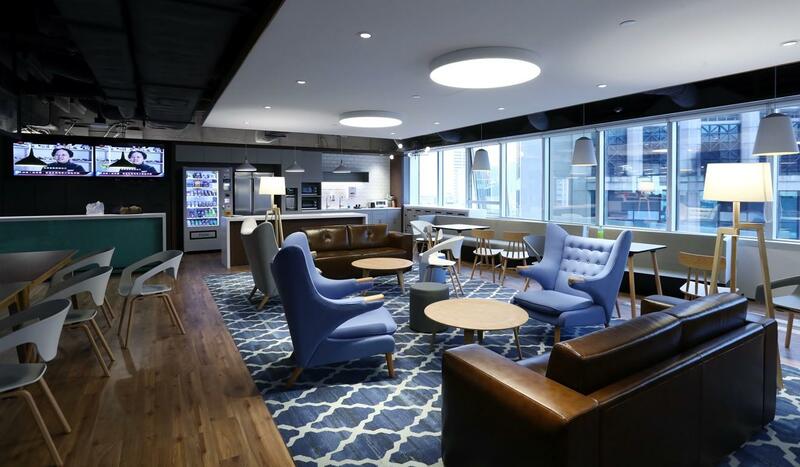 The cohesive layout, collaborative spaces, and thematic social hubs are designed to improve internal communication, which will, in turn, foster deeper connections with the company’s stakeholders. Relocation to the city office begins this month and is slated for completion by December 2019. The Morning Post Centre will remain in Tai Po Industrial Estate where its printing presses are located. Pictured here is the atrium of the new SCMP office at Times Squares, Causeway Bay. The new premises are an activity-based workspace based on a cohesive layout. One of the thematic social hubs of the new SCMP office at Times Squares, Causeway Bay. The new premises are an activity-based workspace based on a cohesive layout. South China Morning Post is a leading news media company that has reported on China and Asia for more than a century with global impact. Founded in 1903, SCMP is headquartered in Hong Kong, where it is the city’s newspaper of record. The SCMP teams span across Asia and the United States, working together to connect with news consumers around the world. SCMP is committed to informing and inspiring through journalism of the highest standards. The company’s vision is to “Elevate Thought” and its mission is to “Lead the global conversation about China”. SCMP develops news content 24/7, driven by world-class journalists, editors, visual artists, photographers and videographers, all guided by the principle of “Truth and Fairness”. Its editorial teams are powered by emerging digital technologies to create innovative ways to tell Asia’s most important and compelling stories. Against the backdrop of shifting discovery and consumption behaviours, SCMP reaches users across distributed media platforms including scmp.com, smartphone and tablet apps, social media and messaging platforms, as well as our flagship newspaper. Additionally, SCMP is Asia’s leading magazine publisher with a portfolio of premium lifestyle and fashion titles including Cosmopolitan, ELLE, Esquire, Harper’s BAZAAR and The PEAK. SCMP is also home to cpjobs.com, a big data-powered recruitment platform that matches jobseekers with their dream jobs.